A click through rate is the percentage of people who clicked on an ad to arrive at the destination site. In Pay Per Click (PPC) search engine online advertising, click through rates are important in determining how much an advertiser is spending on their online advertising program and how much profit they are acquiring. Advertisers will profit more from organic search engine optimization services by a professional website promotion and custom website design company such as Dynamic Digital Advertising (DDA) because, unfortunately, the cost of paid click throughs often exceeds the profit achieved. A click through is when a search engine user clicks on an advertiser's online advertisement and they are directed through that advertisement to the advertiser's website. The Click Through Rate (CTR) measures what percentage of people clicked on the ad. It is the average number of click-throughs for every hundred ad impressions. The conversion rate is the percentage of search engine users who take the advertiser's desired action, such as product sales, newsletter subscriptions or membership registrations. High click through rates do not necessarily mean good conversion rates. In fact, the overall conversion rate of PPC sites is 3 times less than that of unpaid sites1. Click Through Rates (CTR) deliver targeted search engine users to an advertiser's website but it is the conversion rate that truly measures the success of an ad. CTR accounts for immediate response to an ad but conversion rates account for the overall response and the achievement of the desired action. In PPC marketing programs, a click through will cost an advertiser the agreed cost per click but it may not mean that the search engine user will follow through with the advertiser's desired result. A click through costs an advertiser but a conversion will gain an advertiser profit. What CTR Does Not Measure? CTR does not account for those who do not initially click on an ad, but decide later to go back and visit the website the ad links to. Nor does it account for search engine users who type an advertiser's URL directly into the browser. CTR can also be difficult to measure because click fraud accounts for an estimated 15-30% of all click throughs. Choosing to employ the organic search engine optimization services of a professional search marketing custom website design company like DDA will save an advertiser the hassle of unreliable statistics and high cost per click. Dynamic Digital Advertising, located in Philadelphia, is a custom website design and development company founded in 1994. DDA has worked to design companys websites through their proprietary 14 step process which includes keyword research, content development, organic search engine optimization and search engine marketing. Websites are optimized to maximum relevancy and achieve rankings in the top search results page of major search engines. These websites generate more traffic and the user experience is so great that companys enjoy higher conversions. Dynamic Digital Advertising offers the most complete list of marketing and promotional graphic design services in the country. DDA excels in a wide array of graphic design services including multimedia CD-ROMs and DVDs, trade show graphics, graphic design print media, corporate branding and marketing. These services provide your company with a greater corporate identity that will impress clients, business partners and investors. 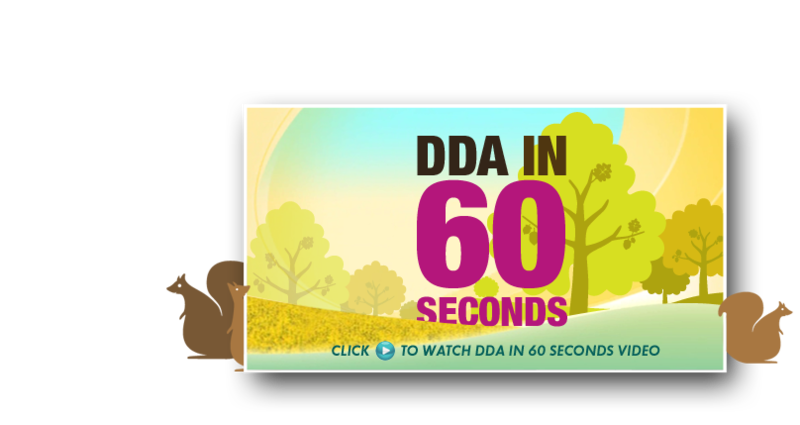 DDAs trade show graphic services also boost a corporate reputation with banners, table covers, backdrops, posters, video and more.